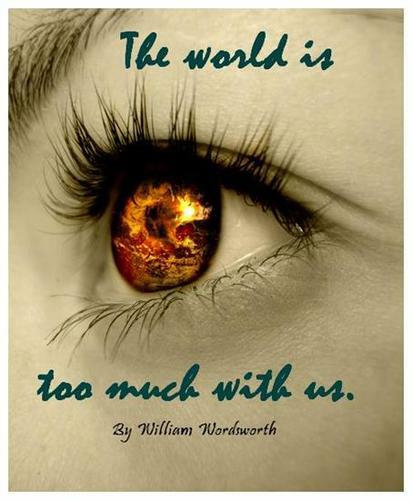 The World Is Too Much with Us" is a sonnet by the English Romantic poet William Wordsworth. In it, Wordsworth criticises the world of the First Industrial Revolution for being absorbed in materialism and distancing itself from nature. How does Wordsworth use imagery to express his longing for a simpler time?